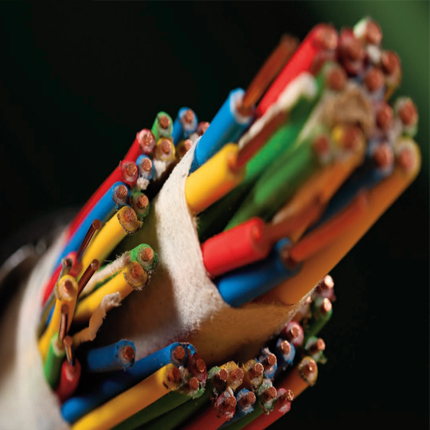 Cable-filling compounds provide a watertight environment and protection against corrosion and potential dielectric problems (as well as other benefits). Often, these compounds are characterised by their high melting point, their water-resistant nature and their excellent dielectric properties, which slow down the deterioration of the cable during its service life. Cable Filling Compounds (CFC) are basically highly crystalline in nature with excellent heat stability & high melting potential. CFCs are widely used in telecommunication industries. They are prepared and developed according to specific requirements of the clients. CFCs are easily compatible with the Jelly Filled Cables and have good thermal and oxidation stabilities. They can be applied into the cable manufacturing process from 90°C to 95°C temperature in semi-liquid techniques and from 100°C to 105°C temperature in liquid techniques. CFC when heated, can be poured and once it cools, forms into a hard mass. It has low water vapour permeability, and is insoluble in water and subsoil chemicals. It also gives an excellent performance for electrical application. It offers resistance to weathering and to chemical reactions.